Many people prefer to design their apartments and houses in reserved, neutral or pastel palette – this makes them feel comfortable after a difficult working day. 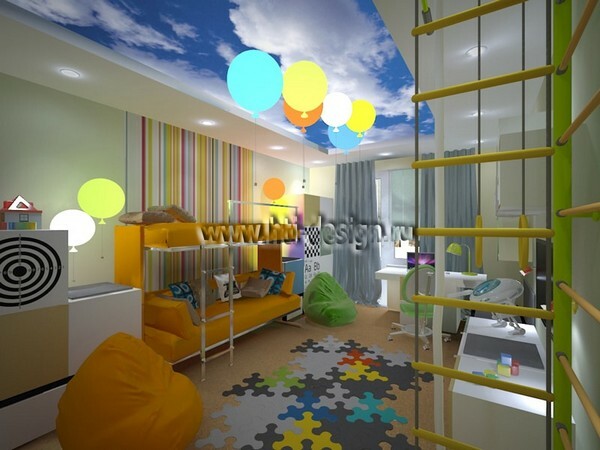 But for others relaxation is rather associated with bright, highly saturated colors, typical of toys and tropics: yellow-canary, blue, green and orange. 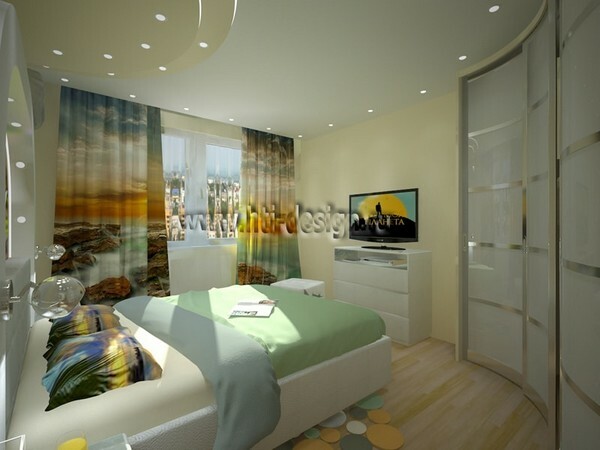 Conceptually the interior reminds of an island – the place to relax, have a good rest and forget about daily routine. 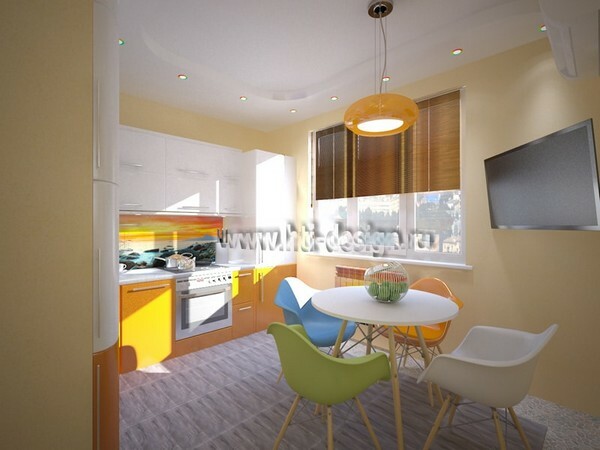 The owners had a clear vision of their future interior, and the designer team’s task was only to convey the right mood by means of interior tricks. Relaxing atmosphere is felt already in the hallway: the built-in wardrobe is decorated with photo printing of a dock. By design, the dock is optically extended by floor tiles with artificially aged wood and pebble pattern. This “road” leads you to the kitchen, which is a small island by itself. Not to overload the room with tropical colors, the designers accented just a few kitchen cabinet doors, wall tiles, a lamp and a chair. 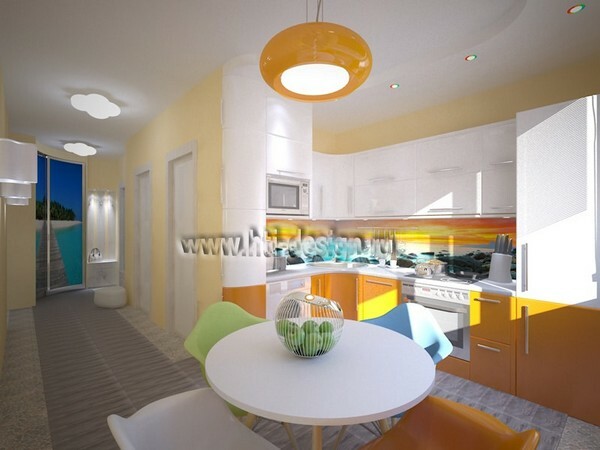 The rest of the furniture and décor is more neutral – white, pale-blue and light-green. This way the room looks bright, but not alarming. Cozy atmosphere of the living room is supported by combinations of white and yellow colors in the furniture and finishing materials, a lovely coffee table with a bioethanol mini-fireplace, a potted palm and a vertical garden – a new interesting item of interior décor. Bedroom interior design is based on a winding shape of a built-in wardrobe, which adds the sense of softness to the mood of the room. 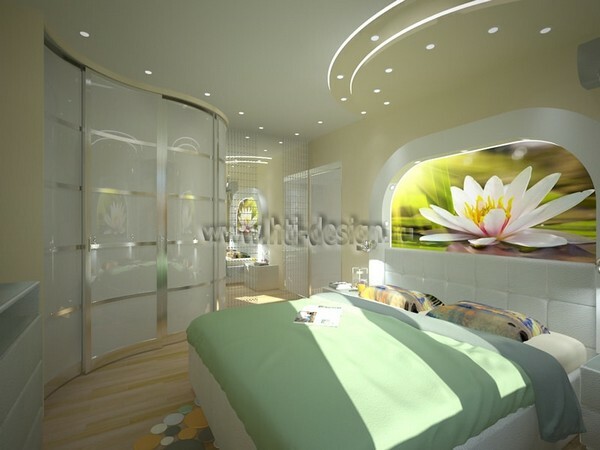 Tropical island motives are reflected in a lotus picture over the headboard and the blinds. 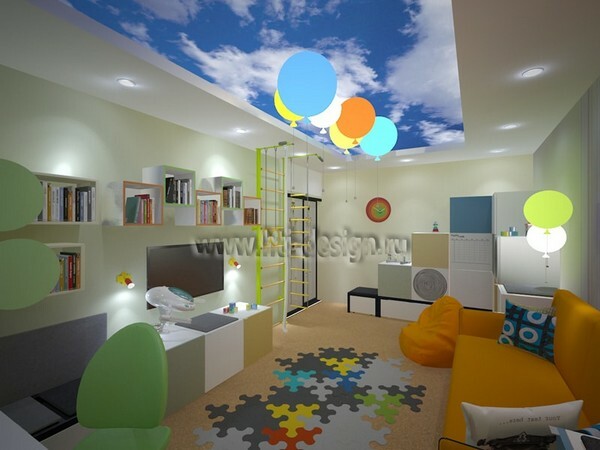 The parents insisted that the playroom must feature exclusively transformable and modular furniture: it’s convenient, safe, space-saving and facilitates psychological development of children. The loggia is a health corner. 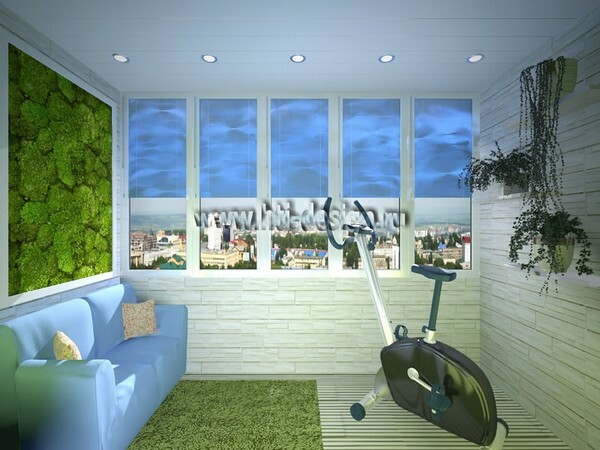 Here one can be engaged on a simulator, just look off in the distance or enjoy the fresh air generated by a living wall of stabilized moss. 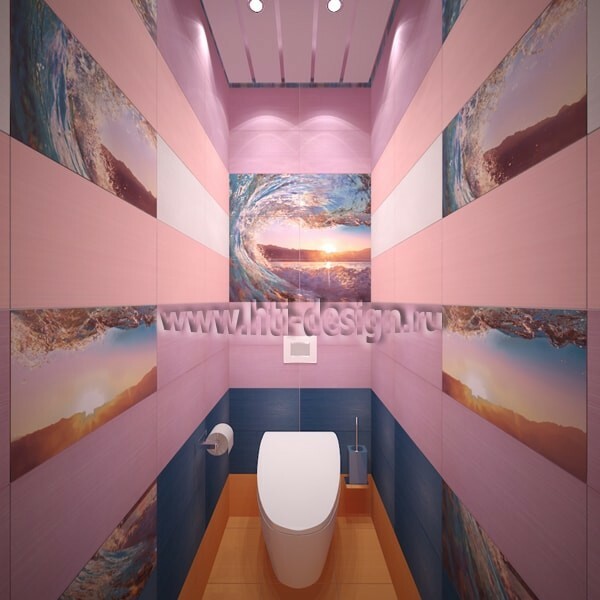 Bathroom suggests you to enjoy the sunrise, and toilet takes you to the sunset on the sea. We hope you enjoyed this project and tropical style is now something you will not be afraid of!